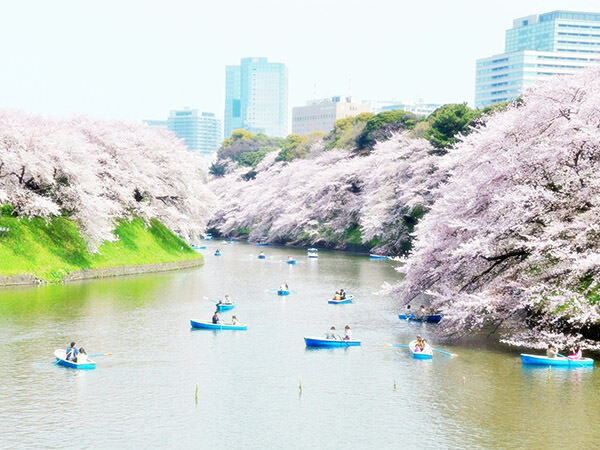 Chidori-ga-fuchi is a very popular sakura viewing spot in Tokyo. The word "chidori" is "plover" in English, "ga" is "of", "fuchi" is "moat", respectively. So, "Chidori-ga-fuchi" literally means "Plover's Moat (meaning the shape of the moat resembles a plover)". The moat is located on the northwest edge of Tokyo Imperial Palace. 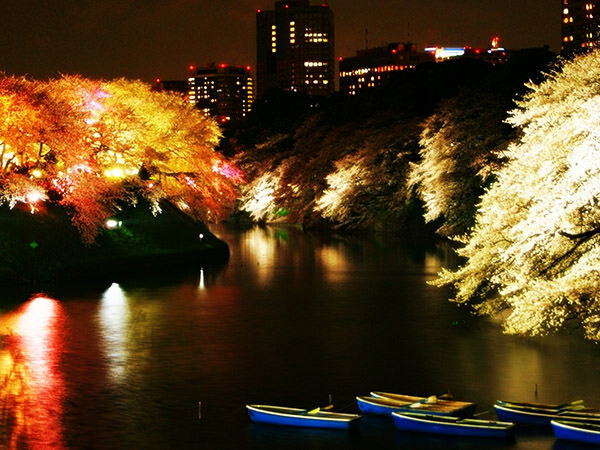 Many people visit here at the beginning of April every year to see sakura (refer to #001) trees in full bloom. People can appreciate beautiful flowers from a boat on the moat at the season.